Status – “Relative social or professional position; standing” (Oxford Dictionaries), sounds a little too stuck-up for me. Within the terms of Airline loyalty programmes however, ‘Status‘ simply means a level of Recognition from an Airline of the key recipient’s likely worth to them as a customer. The higher their perceived worth, the higher the Status level and enticements (bribes!) offered to maintain loyalty from the customer. 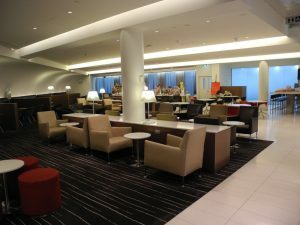 Airline lounge access, business class upgrades, free checked baggage, express check in and priority security lanes are often offered as inducements for you to tie your spending and flying to one airline. In this introduction to elite status, I will try to break down the specifics of status recognition within the 3 most prevalent Airline loyalty programmes in the NZ market – Air New Zealand Airpoints, Qantas Frequent Flyer, and Virgin Australia’s Velocity Frequent Flyer. Customer loyalty is big business worldwide, and none more so than with International Airlines. A solid loyal customer base, particularly with fat wallets, can often make the difference between whether an airline finishes it’s financial year in the red or the black. So if loyalty is so important to airlines, how do they decide when someone is considered more valuable to them than another? Is it just how much they spend or how much they fly? Attainment of status within a frequent flyer programme is managed differently depending on the Airline and how their programme is structured. Some foreign airlines, use a combination of miles flown with cabin class bonuses, and may also require a high number of sectors flown on their own planes. The local airlines we are familiar with control attainment of status recognition with the collection of status credits for each flight taken, on either their planes, or those of their partner airlines. These status credits are different from the points earned for redemption awards, however earning is similar, and in general the further the flight and the higher the cabin class the more status credits earned. The Air New Zealand Airpoints programme is a one of a kind, both for the good and the bad. Being as close to a fully revenue based system as possible, it is extremely difficult to earn a high status level flying with Air NZ unless you can afford to pay for business class every time or fly domestically each week for work. In essence, if you purchase the cheapest flights from Air New Zealand, you will receive minimal status credits when compared with the other local airlines. What’s wrong with that you might ask? For the most part I would agree. On the other hand this is not just about money, loyalty is about brand, passion, trust, and well, ‘Loyalty’. When you crunch the numbers, and find that a loyal Air New Zealand frequent flyer could purchase a discount economy return flight across the Tasman every month for a year, and still not even achieve the lowest level of Silver within the Airpoints programme, questions should be asked. Surely this type of person would epitomise the meaning of ‘Loyal’ in terms of brand recognition for any airline? But because they haven’t purchased expensive tickets, Air New Zealand don’t appear to agree. As I will try to show this is not to say it’s impossible to achieve status with Air NZ, it just means if you want to earn the status, you’re going to need to put a lot of effort in. Fortunately once a status level is reached, the recipient will find that only 90% of the original total credits are required to be earned in the following 12 months to retain that same level. Being part of the Star Alliance network means status credits can not only be earned by flying with Air New Zealand, but also on qualifying flights with their Star Alliance partners, and can include some airlines outside of Star Alliance who are strategic partners. Estimating status credit earn on Air NZ or their partner airlines is very complex, thankfully they have created an easy to use calculator here, which does all calculations for you. 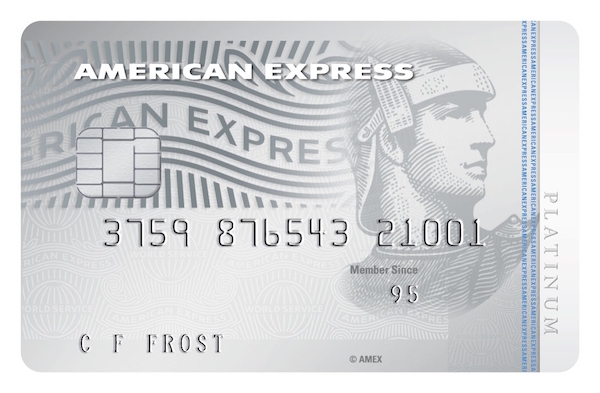 A unique point about the Air NZ Airpoints programme is that while like other airlines it has associated points earning credit cards, a few of those same credit cards like The Air New Zealand Platinum American Express will also earn Status Credits towards your loyalty target. 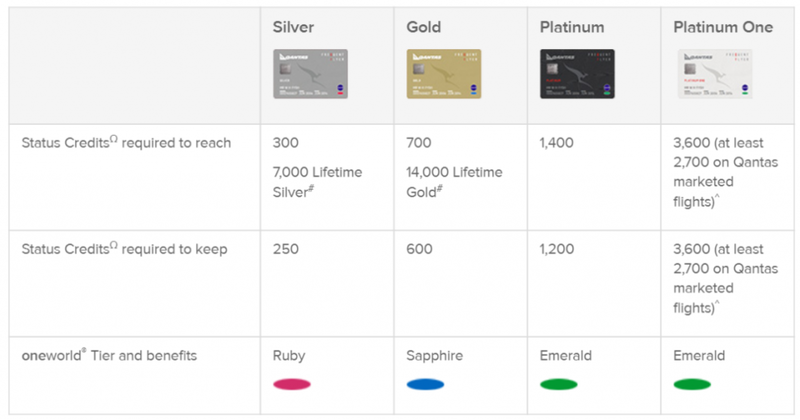 Contributions to status levels from credit card spend are maxed at 50% of requirement for Silver and Gold, and 40% of requirement for Elite level status. While certainly a useful addition to have for reaching those extremely high status level targets, with the best earn rates starting at $200 spend per SC, $45,000 spend annually would be required just to make 50% of Silver status credits. Unless you plan on buying a high end car with your card, the status credit earn from any card will remain purely that, a useful addition. Check here for more details of Air NZ Status levels and associated benefits. Qantas has a slightly more orthodox loyalty programme. Status credit earn is purely set by cabin class and flight sector distance, without quite the same variation on dollars spent as with Air NZ. While status credits required are less per level than Air NZ, spend with Qantas’ aligned credit cards do not contribute to SC earn. In addition Qantas also requires at least 4 Qantas or Jetstar marketed and ticketed flight sectors per membership year to achieve or maintain status level. With Jetstar expanding its New Zealand domestic operations and a number of Qantas’ OneWorld Alliance partners flying internationally from New Zealand, Qantas provides a good alternative to Air NZ for elite level aspiration. 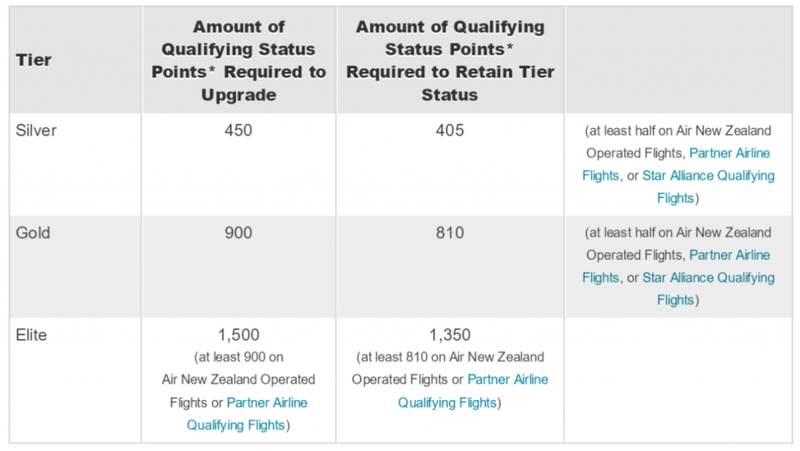 Similar to Air NZ, Qantas offers a discounted status level renewal target once a particular level has been attained, being 50, 100 & 200 SC’s less than the original for Silver, Gold and Platinum level respectively. Being part of the OneWorld network means status credits can be earned not only by flying with Qantas or Jetstar, but also on qualifying flights with their OneWorld partners. To earn Qantas Frequent Flyer status credits when flying with Jetstar, you must add the ‘Plus Bundle’ to your booking. As this bundle also provides you with free seat selection, check-in baggage allowance, meal (or in-flight credit), and extra Qantas points on top of the status credits, it can be worthwhile value. A couple of notes of caution. First while Qantas and Emirates may be in a strategic partnership, that partnership does not extend to earning Qantas status credits on Emirates marketed and ticketed flights. This means if you take an Emirates flight across the Tasman with a code share ticket purchased through Qantas, you can earn Qantas SC’s, however if the same flight, or even a code share flight on a Qantas plane is purchased through Emirates with an EK ticket code it can not earn Qantas SC’s. Second note of caution, earning Qantas SC’s on OneWorld partner ticketed flights that compete directly with Qantas can often be less than that earned on a Qantas ticketed flight for the same sector. I would advise you to check through all the particulars of the partner SC earning tables here, before opting to transfer flight SC earn to the Qantas FF programme. Check here for more details of Qantas Status levels and associated benefits. The Velocity loyalty programme has a degree of similarity to Qantas Frequent Flyer in that status credit earn is a set figure based on cabin class flown on a flight within a set mileage distance. Velocity, however keeps things simple, Qantas’ confusing array of SC earning charts with too many cabin classes, who the partner carrier is and where the flight is going, all make the head spin. With a basic status credit earn table of only 4 cabin classes and 6 distance brackets, Virgin Australia uses the same table for their own flights as well as all their partners airlines. Working out what the likely earn will be on a particular flight is pleasingly easy going. Virgin Australia have opted not to join one of the three global airline alliances, instead preferring to choose it’s strategic partners based on their territorial benefits to its worldwide reach. While this minimises the benefit of any Velocity status level on a global scale, those partners they have teamed with do not lack in providing Virgin Australia with the almost worldwide reach they have coveted. Alliances with Air New Zealand, Singapore, Etihad, Delta, along with others together help Virgin to provide the reach of a global airline without the expense. Interestingly for the moment, together the first three also form the majority shareholders of Virgin Australia. Regardless of ownership issues, as a benefit for members these partnerships also makes earning Velocity status credits while flying partners easy and sometimes quite worthwhile. The Virgin Australia Velocity programme has one particular benefit to family groups. The programme allows one member of a family group to be the beneficiary of all points and status credits each earned by every other member of the family pool. With one decent international trip or two smaller ones a family can easily reach and maintain Platinum status along with all the associated benefits. Check here for more Velocity Status levels and associated benefits. Of the most importance when choosing to attain status with any airline loyalty programme is calculation whether it’s achievable in the first place. There’s no point coveting a prized benefit you’d want to attain if you’re not going to make the required mark. The easiest way to calculate the cost of making a particular status level is the programmes status credit dollar value. In other words the amount of money in dollar terms that each status credit costs after the total flight expense is divided by the number of status credits earned. To keep things logical and as equal as possible I have researched examples with each airline using the same destination on the same date. Domestic Christchurch to Auckland – Wednesday 18th May 2016, Trans-Tasman Auckland to Sydney – Thursday 19th May 2016 and Long Haul Auckland to Los Angeles – Saturday 21st May 2016. The domestic results are based on the best available SC earning Flexi fare. For Jetstar this required adding the Plus Bundle to the booking. Not all Air NZ Domestic fares earn SC’s with Virgin Australia, so this required booking an eligible fare as defined here by Velocity’s table of Status Credit Earn Fare Classes. For relevant comparison between International sectors, I have included the differences between cabin classes with examples for both discount economy and business on with each airline. Finally to highlight the status credit earning potential when flying with some partner airlines I have provided results for a trans-continental flight from Los Angeles to New York – Saturday 21st May 2016, with each airlines North American partner. Cabin classes in this instance are in economy and first. Since only Air New Zealand out of the three has an actual NZ domestic network, I have therefore used the same fights with Air NZ calculated against Virgin Australia’s Velocity SC earning table. Jetstar subs in to provide the comparative Qantas Frequent Flyer SC earn. What can be seen from these examples is that at $7.11/SC, earning Qantas status credits through Jetstar NZ domestic flights is not only viable, it can provide some of the best earn rates around. It is possible during a flash sale to pick up a one way Hot Fare for $15 with Jetstar NZ, adding the Plus Bundle can result in an earn rate of $4.10/SC, which is near as good as it gets. While having to purchase a higher fare to satisfy Virgin Australia’s restricted booking classes for earning status credits on Air NZ domestic flights, at $12.90/SC these results don’t really add much value for those seeking Velocity Status. Having said that if you’re near gaining or retaining a particular level, the SC’s may be worth more to you. Finally while the SC earn with Air NZ doesn’t really excite at $11.73/SC, it must be remembered that the Flexitime sample fare was chosen to match both Velocity’s restricted booking class requirements, and the benefits of the Plus Bundle required to earn Qantas SC’s with Jetstar. Air NZ run daily sales through their Grabaseat site, during past flash sales I have found one way Seat Only fares to select domestic locations for as low as $20, with a minimum earn of 8 SC’s per domestic sector that equates to an amazing $2.50/SC. While New Zealand domestic flights can often provide better SC earn rates than International sectors, unless you plan on flying weekly the minimal earn totals will only serve as a bonus toward reaching your status level goal. To ensure equality among the search results I have based prices on the Works fare and Saver fare respectively for Air NZ and Virgin due to the full service product that is provided as standard with Qantas. Interesting results. This shows that Qantas provides the best rate of $13.70/SC in discount economy, with Air New Zealand providing the best rate in business of $9.70. Qantas and Virgin both generally have a fixed status credit earn dependent only on the cabin class and distance flown, when prices drop the earn gets better, just as when prices go up the earn will also get worse. Air NZ however alters their SC earn as the fare prices change, with earns increasing or decreasing along with the price. Qantas and Virgin fly to North America via Australia so I have calculated their flights via Sydney. Air NZ flies direct so I have calculated their earn based on direct to Los Angeles. Again Qantas provides the best earn rates in economy of $10.39/SC, and also this time in business of $13.40/SC. The benefits of the extra status earn would need to weighed up against the extra flights involved, I’d be wanting a greatly sub $10/SC earn (which is possible) to compensate for the inconvenience of flying to the US via Australia. While possibly only relevant to a few readers, I felt the value in status credit earn from US partner airline domestic flights was important to cover off when compared, particularly against the previous earn rates shown on the chosen airline alone. The table here also includes extra results for connecting flights via an intermediary city between LAX and NYC. I’ve included this to provide a graphic example of the excellent status credit earn possible when choosing US domestic connecting flights over a direct option. This is an example I have had personal experience with and have outlined in this overview of my US status run. For this flight I have provided results from Air NZ Star Alliance partner United Airlines, Qantas’ OneWorld partner American Airlines, and Virgin Australia partner Delta Airlines. With 3 airports in New York I have left the destination airport code as NYC in search results. The results here make for quite interesting reading. Of note is that the difference in cost between flying via another city is often not much more than the direct flight, and in some instances can even be less. The status credit earn is however considerably more than flying direct, which is where the optimum earn rates occur. Firstly up is the improved earn rate going from Economy to Business/First cabin classes with Qantas frequent flyers coming out on top earning at $8.72/SC with American Airlines. What I most wanted to demonstrate however is the excellent earn rates gained when opting to fly via an intermediate city rather than direct. Most commonly this occurs when combined with flying business/first, in this case however Air New Zealand Airpoints members narrowly top the pile, earning at $5.46/SC when flying Economy via Houston with United Airlines. It is important to understand that with multiple flights heading to any destination from any origin in the US at any one time, flying an indirect route may only add an extra 2 hrs to your journey. At the same time it can make the difference to earning a high quantity of much needed status credits at a rate that is difficult to beat anywhere in the world. Earning status recognition with any airline is not an easy task, and neither do I think it should be. However I also believe that only basing the value of a customer’s worth on their current spend without considering their loyalty is a dangerous short term approach. The Air New Zealand Airpoints programme does well in allowing status credit earn from credit card spend, however the high target levels mitigate most of the benefit this provides. Once a level is achieved, the inclusion of the recognition upgrades do provide a tangible reward that at least goes some way to offset the cost needed to reach it. The Qantas Frequent Flyer programme provides the best individual combination of included flight benefits and status credit earn across the Tasman. When flying Jetstar domestically, including a Plus Bundle with the fare purchase not only provides extras and flexibility to the booking worth the extra cost alone, it also allows Qantas status credit earning at a great rate. 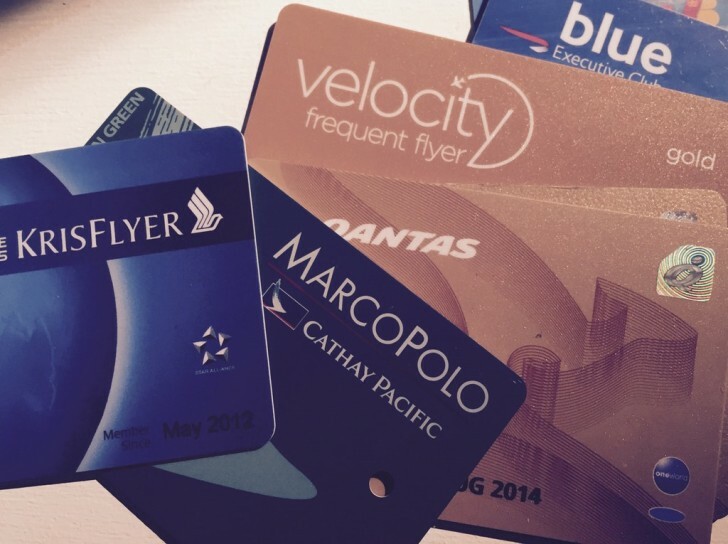 Velocity Frequent Flyer’s simple, uncomplicated award charts and the unique benefit of Family Pooling, easily make it the logical choice for any couple or family seeking recognition for their flight loyalty. Velocity may lack the worldwide benefits of a Star Alliance or OneWorld airline, but Velocity have shown how to not only reward their members current travel habits, but likely foster the loyalty of those junior travellers that may just become the future big time travel spenders. If you plan on heading to the US for a future trip which may include domestic US flights, I recommend researching the available options that will provide you with the best status credit earn before just adding a domestic sector to any international flight. Use not only the US airline sites for options but also compare those against results from the Google flights search engine and even a US based online travel agency such as Orbitz, these sites can sometimes show up better deals than found with the airlines themselves. Wow, you put a lot of hard work in to this. I found your article rich and full of valuable information. I will study this carefully now that my partner is going to be flying to Perth from Wellington for work every three weeks. Excellent article, cheers. I find going to the US with Qantas far preferable as I live in Wellington, and I’d rather fly the whole way internationally than get to, and stop, in Auckland. You also pay no more, and get an extra 20 status credits and Airpoints for the Wellington to Sydney\Melbourne leg. Plus because it’s Qantas you still get the meal\drink\entertainment as par. I do wish Jetstar had a wider network in nz though, that would to the balance completely in Qantas’ favour methinks. Cheers.